Trainers are the number one footwear of choice for both men and women right now. We can’t seem to get enough of them. I don’t think they have ever been as on trend as they are today. 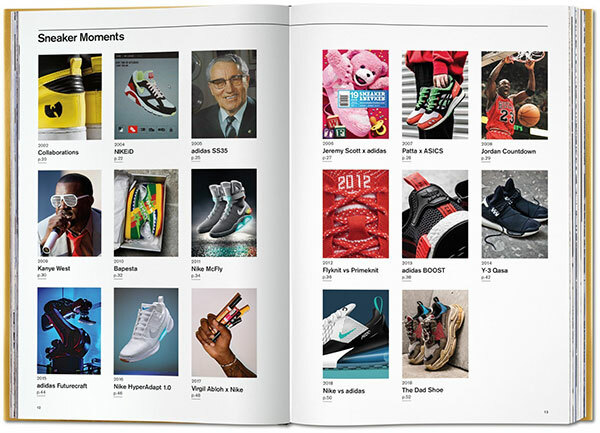 So, it seems quite apt that Taschen has brought out ‘The Ultimate Sneaker Book’, a monster anthology about the global sneaker scene. 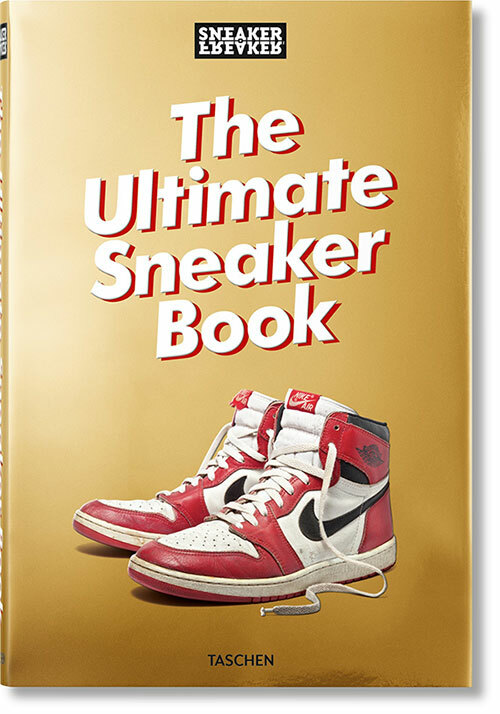 A bible for sneaker addicts, it has more than 650 pages celebrating the most popular form of modern footwear, paying homage to the cult magazine Sneaker Freaker, founded by Simon Wood, which has been at the forefront of the global sneaker scene for nearly two decades. The book combines the magazines finest and content created exclusively for Taschen. The fiercely independent publication has documented every collab, custom, limited edition, retro reissue, Quickstrike, Hyperstrike, and Tier Zero sneaker released over the last 15 years. Traversing 100 years of history, each chapter of The Ultimate Sneaker Book paints a rollicking picture of the sneaker industry’s evolution. Air Max, Air Force, Adi Dassler, Converse, Kanye, Dapper Dan, Dee Brown, Michael Jordan, and Yeezy—along with obscure treasures like Troop, Airwalk, and Vision Street Wear—are all exhaustively documented. Be smug and gift this to the seriously insane sneaker fan in your midst.